Crossbred between post-noise, metal, shoegaze, math rock and electronical music, Zero absolu (Lyon - France) is a modern one man band, based on loops where electronical music intervene with diverse musical instruments. 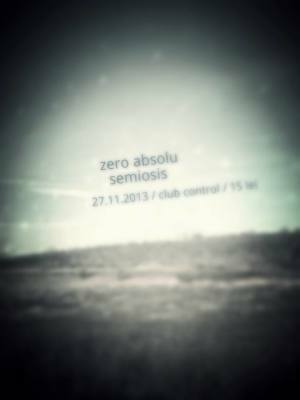 "Zero absolu (FR) live! @ Control" Concert in Bucharest. You can get here description, reviews, address, time and details of "Zero absolu (FR) live! @ Control" Concert in Bucharest. Visit Bucharest Tips for more Concert events in Bucharest!